Detroit, Michigan, was once the 20th century capital of the industrialist world; today it declared bankruptcy — the largest city in the USA to do so. It is facing debts of more than 18.5 million dollars and has long been a city in decline. It is estimated almost 80,000 buildings in the city are ‘abandoned or seriously blighted’. Here is a photo essay, ‘The Ruins of Detroit’, showing some of them. 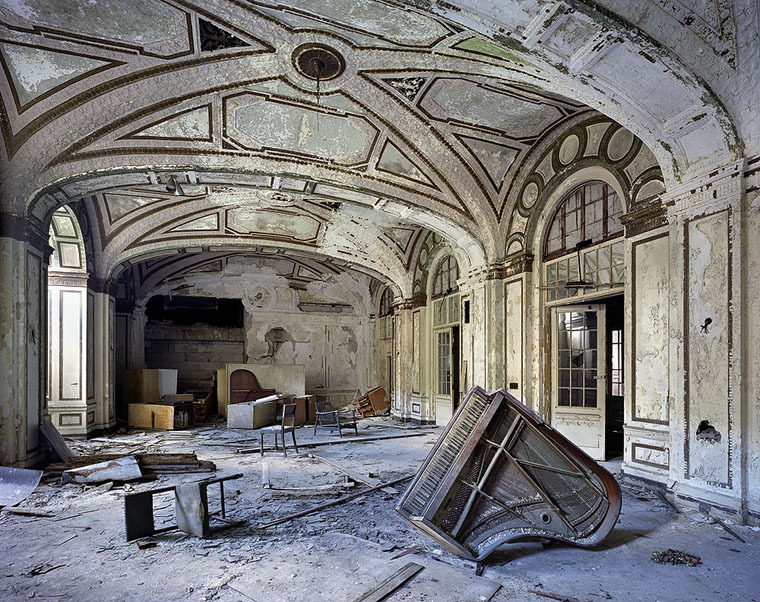 The Detroit photos are so evocative and a sad reminder of the transience of the car industry. To think a city can peak and decline in such a short timeframe is food for thought.